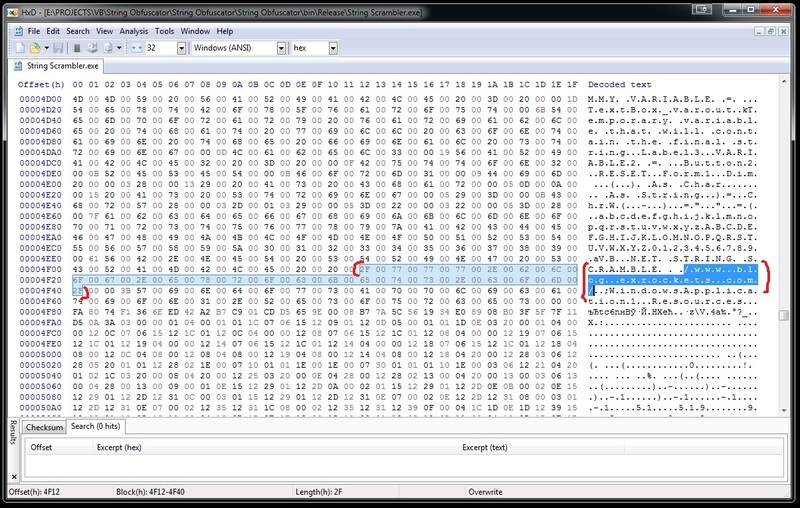 Which would appear modified in the new file, something that we wouldn’t like to happen. 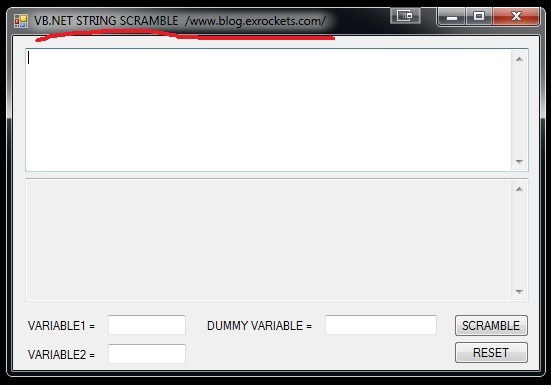 When you press the “SCRAMBLE” button the string is broken into characters. 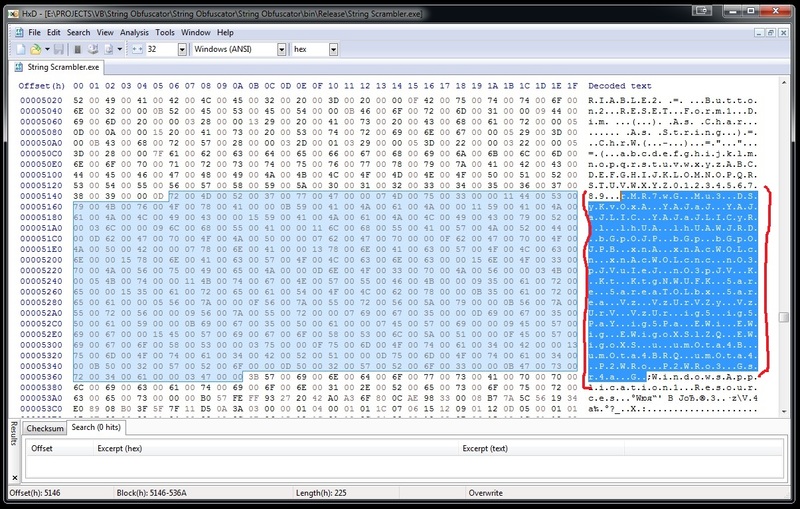 Each character is converted to ASCII code to which a random number is added. 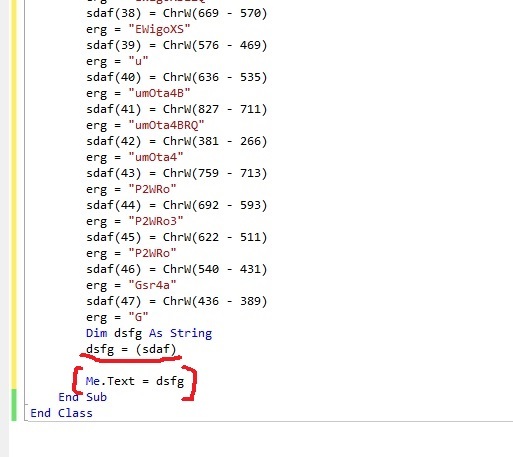 Then the character is expressed as the difference between the former and the random number. Then between each two consecutive characters a random string with random length is written which has no purpose other than confusion. 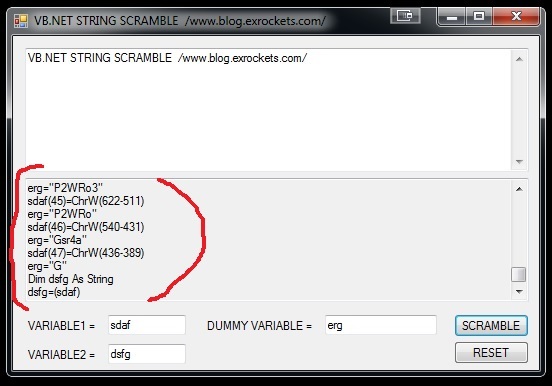 Finally the scrambled characters are assembled in a third variable which will contain the initial string. 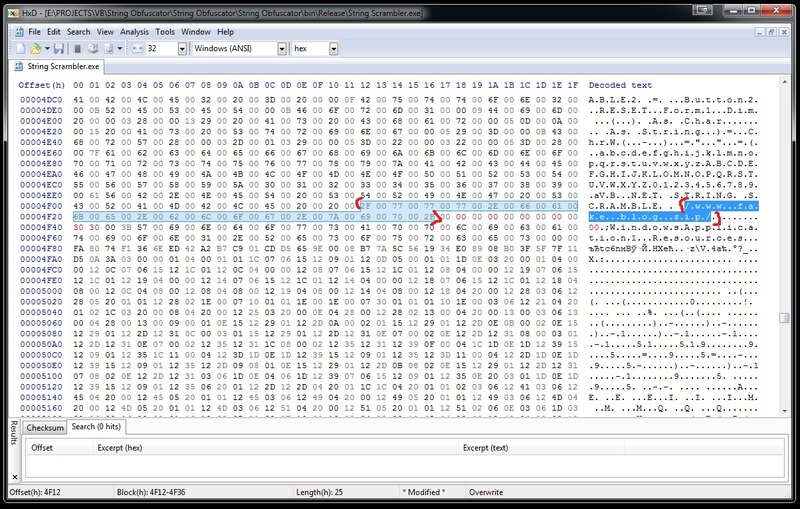 Now when you open the application file with a HEX editor, the text string will look like some other code and it would be difficult to identify and modify. 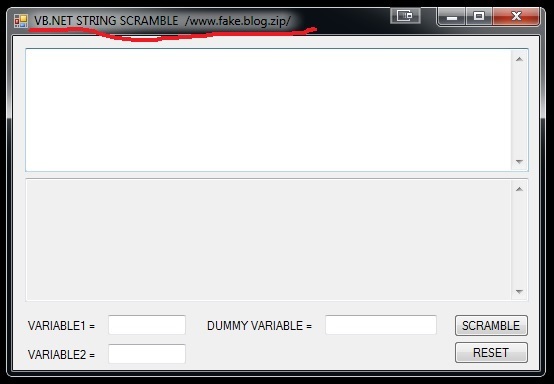 This entry was posted in CHEMISTRY AND TECHNOLOGY and tagged SIMPLE STRING OBFUSCATOR, STRING OBFUSCATOR, VB.NET, VB.NET SIMPLE STRING OBFUSCATOR, VB.NET SIMPLE STRING OBFUSCATOR SCRAMBLER, VB.NET SIMPLE STRING SCRAMBLER, VB.NET STRING SCRAMBLER. Bookmark the permalink.